With the state of art ergonomics Kant Plastology designed the UNIVERSAL TESTING MACHINE for test the general/engineering Plastic Materials, Plastics composites, Jumbo belts and other many more products. The machine is designed with very robust and rigid structure of double Column vertical movement on the mechanically treated low friction ball screws. 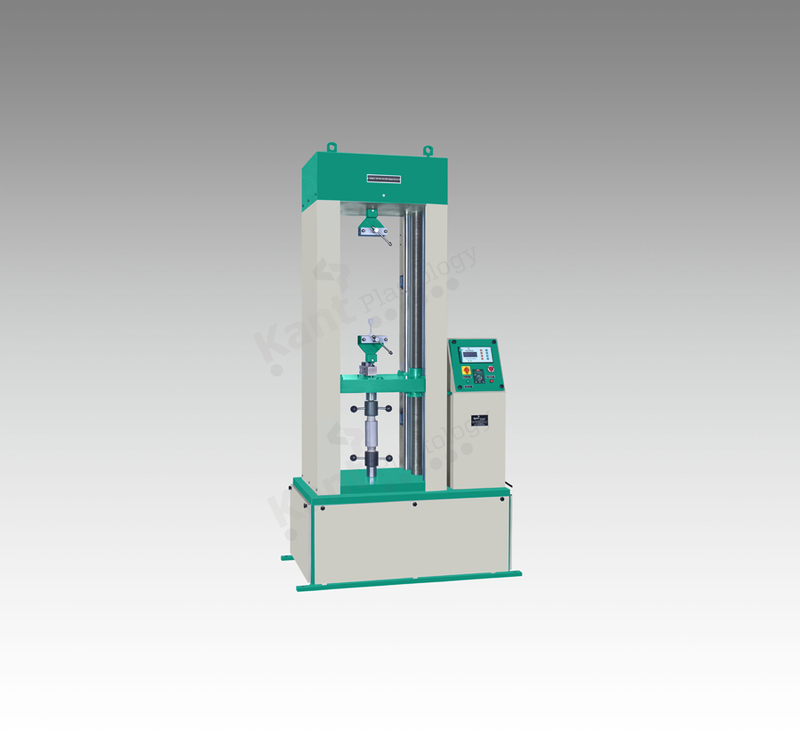 The machine speed can vary through frequency controlled A.C. drive to perform various types of test for different type of products as per national and international standard. The machine function is very user friendly, operation ease and maintenance less. Kant Plastology provides the entire range in various customized options as per requirement.